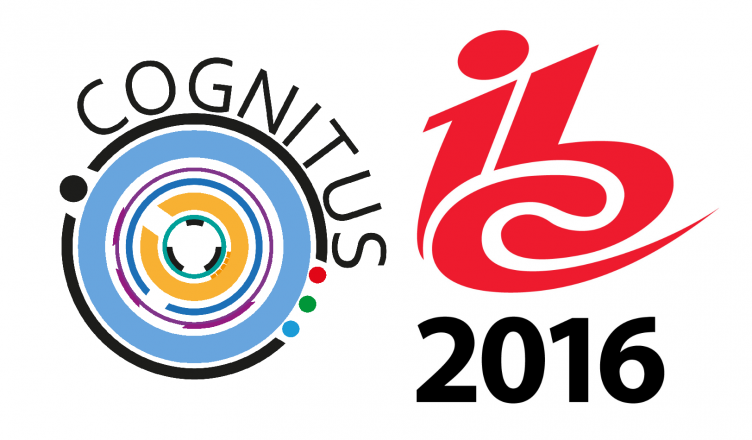 In this first year of the project, the COGNITUS objectives for the IBC2016 were simple. We mainly wanted to introduce the project scope to a wide audience in the Media production community, while also disseminating some of the early learning outcomes and showcase some work-in-progress elements of the projects. Our project partner VTEC (stand 7.G16) demonstrated the COGNITUS Repository System as a part of their product portfolio, and we also had 2 dedicated sessions presenting the wider scope of the project. The demo focused on the parts of the workflow, where the User generated videos are ingested into the repository. The sessions were conducted jointly by VITEC and the BBC, and included a project leaflet. Turing codec, the open source HEVC encoder, which is one of the key components of the COGNITUS architecture, was presented at the EBU Open source Meet-up, by Saverio Blasi from the BBC R&D. The event constitutes a series of lighting talks on various open source projects relating to the media industry. Again on the topic of the Turing codec, BBC’s Saverio Blasi also presented a research paper at the IBC Conference, in the Emerald room. The presentation contained some detailed analyses of the Turing codec’s compression efficiency and the computational complexity. Saverio was a panelist at the paper session: New Applications of High-Efficiency Video Coding. The Turing codec also featured in the High Dynamic Range, HDR (using the Hybrid Log-Gamma, HLG system) and the High Frame Rate. HFR (at 100Hz) demonstration at the EBU stand. The bitstreams used in the MPEG-DASH based demonstrations were HEVC coded using the Turing open source video encoder. 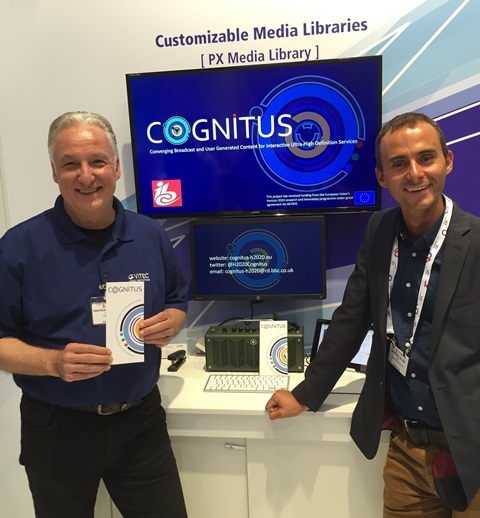 We are already planning for a much bigger presence at the IBC2017, by when the COGNITUS project will have significantly more progress to demonstrate. Watch this space and follow us on Twitter @H2020Cognitus for more updates.